In the first half of 2018, BOOM finds at least 15 deaths out of mob lynching so far. India’s National Crime Record Bureau (NCRB) will publish data on mob lynching in its Crime in India 2017 publication, NCRB told BOOM. This will be first time that the bureau will be releasing such data and has revised its proforma for the same, said Kamini Shaw, Assistant Director – Statistics, NCRB. Lynching has once again come into focus with several incidents reported in different parts of the country based on unsubstantiated rumours of children being kidnapped. 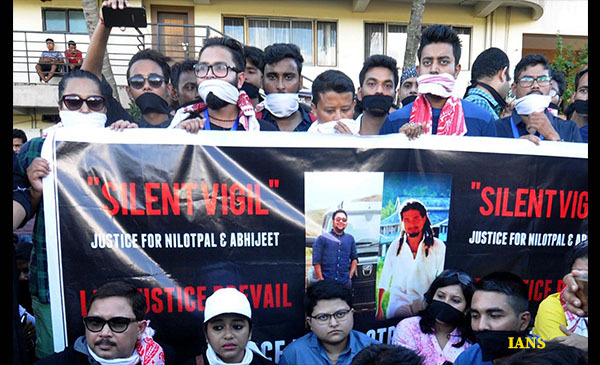 The most recent one was that of two young men lynched in Panjuri Kachari village in Assam. At the time of writing this story another incident in Jharkhand of two Muslim men lynched on suspicions of cattle theft was also reported. BOOM went through multiple media reports to find around 13 cases of mob lynching which led to death of at least 15 people in the year 2018. Of the 13 cases, 10 were reported to have occurred based on suspicions of child kidnapping, 3 for alleged theft. Click here to find BOOM’s compilation. A compilation by The Quint points to around 99 deaths due to mob lynching since 2015. BOOM cannot independently verify these numbers in the absence of official data. 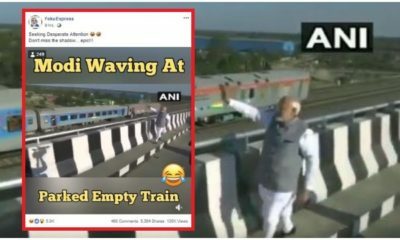 Last year, the cases of 16 year old Junaid Khan who was lynched in a train in Ballabgarh, Haryana and one in Jharkand allegedly for carrying beef created a nation wide uproar giving way to protests like #NotInMyName across the country. In the backdrop of increased lynching incidents in the country, BOOM in its July 2017 report had pointed to the absence of official data on lynching as a hindrance to policy action. Political parties traded charges against each other. While the Congress attacked the BJP, the latter claimed that the UPA regime saw more incidents of lynchings. However, in the absence of official data, none of these claims could be verified. Recognizing the gap in data, several media organizations began creating their own databases to highlight the issue. Within a week, NCRB announced that it will collect data on lynching. 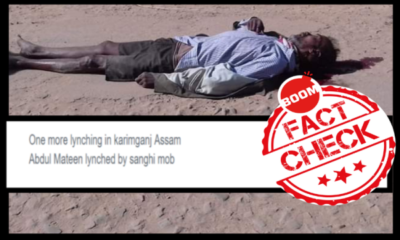 An NCRB official was quoted at the time saying, ‘With so much going on, we thought it would be prudent to collect authentic data on lynchings across the country and analyse the reasons that actually lead to murderous behaviour by mobs. This, we hope, will help policymakers come up with cogent solutions for such ghastly incidents. Data is the first step to formation of policy on any subject’. The protests and the uproar seems to have created an impact. While a Lok Sabha question raised on December 2015 stated that there is no separate data on lynching and law and order are state subjects, a recent question dated March 2018 shows that there have been efforts to collect lynching data from states. The response by the Ministry of home affairs gives a compilation of lynching data from 2014-17. However, it is incomplete as 14 out 36 states and union territories have not sent the data. Moreover, it is not clear how data from previous years have been collected and on what basis it is listed as a case of lynching. BOOM is awaiting a response from NCRB regarding the collection of lynching data of previous years. If this year, mob lynching cases have mostly been related with child kidnap rumors, last year it had gained a communal angle due to cow-related violence and attacks on minorities. While the NCRB’s decision to publish lynching data was much needed, for the data to be useful in addressing the core issue it also needs to include motive behind the occurrences. It needs to shed light on whether the incident was a case of hate crime, due to rumour mongering and other reasons. BOOM spoke to Likhita Banerji of Amnesty International who stressed the importance of IPC provisions to deal with mob lynchings which are hate crimes. There is no data on hate crimes which captures the bias or discriminatory motive. Nor is there a mandated provision to record hate crimes. The Union and state governments should collect disaggregated data on hate crimes and the police should investigate bias motivations in cases of alleged hate crimes. However, she also said that mob lynching cases which is not a hate crime and is based on rumour mongering is a law and order issue. She said that Amnesty is of the view that current IPC provisions are sufficient to deal with it. However, what is lacking now is the implementation of the law. Currently, mob lynching cases are recorded as a case of rioting under IPC section 147 and as murder. There is no section in the Indian Penal Code specifically for lynching, said Shaw. NCRB does not have a definition for lynching, said the bureau. However, any case of murder in which the modus operandi is lynching will be recorded as a case of mob lynching and will be will be collected under ‘Methods of Murder’. The dictionary meaning of lynching is, ‘to put to death by mob action and without legal authority’. This is an extrajudicial act which involves hate, mob taking law in their hands and the failure of the state in protecting the victim(s). There were demands from various fronts for a law against lynching. MASUKA – Manav Suraksha Kanoon – a civil society initiated draft law had gained momentum. It proposed a law against mob lynching which includes defining the terms of ‘mob’ and ‘lynching, calls for making it a non-bailable offence and life imprisonment for convicts, a time bound judicial enquiry and compensation to families of victim. However, the government has ruled out the need for a separate law or IPC for lynching. ‘The State Governments are competent to deal with such offences under the provisions of law’ said Minister of State of Ministry of Home Affairs, Hansraj Gangaram Ahir in the Rajya Sabha starred question no 31 dated July 19, 2017. Responding to a supplementary question raised by Congress leader Digvijay Singh, the minister said that there is no need for an ammendment to bring a law against mob lynching as the IPC already has provisions to deal with a murder either by a single person or by 10 persons. Is there a need for an IPC against mob lynching? While there was mass support for MASUKA that demanded a law against mob lynching, the buzz around it seems to have faded away. Serving police officers that BOOM spoke to (on condition of anonymity) in two different states said that adding new laws will not prevent mob violence. They accept that in the age of social media platforms, checking the spread of rumours have become a major policing challenge. “Rumours are the biggest headache for police officials in today’s era. While we are able to monitor Facebook and Twitter, the penetration of WhatsApp has opened a Pandora’s box. We are not ready for the challenge to deal with rumours on WhatsApp groups as they are encrypted,” said a senior police officer from one of the states that has recently seen mob violence leading to deaths. But back to back incidents across Tamil Nadu, Telengana, Andhra Pradesh, Karnataka and Assam have forced state police departments to figure out new ways to prevent such cases in the future. 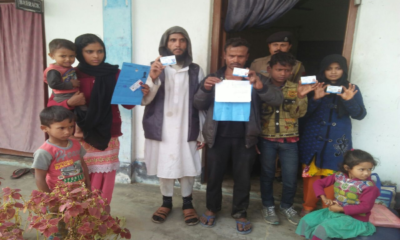 They admit that the recent incidents have exposed the lack of intelligence machinery in the respective districts that caught the police napping despite the spread of rumours for hours and in some cases for days before an attack on unsuspecting travellers took place. This would involve beefing up their social media presence to bust rumours on a real-time basis, creating WhatsApp helplines and encouraging locals to send messages to them with the assurance that they will receive a response. “If we are able to build trust among citizens by giving them confidence that we will respond quickly to rumours, a lot of these messages will not go viral and die down on its own,” said a senior police officer working on such a initiative to involve citizens. Editor’s Note : An earlier version of this story had erroneously written total mob lynching cases in India in the year 2018 as 21 while it is 15. We regret the error.